A great business website is almost like having an extra employee – one who works all the time to make sales for you. It can also be the public face of your business and give information to potential customers. But it won’t do you any good if you don’t actually get visitors to your site. So, apart from slaving away perfecting its design, you must find ways to drive traffic to your website. Web traffic is a vital indicator and driver of business growth. It improves your SEO and search engine credibility. Further, it helps you generate leads and increase conversions. Web traffic also shows you how well your marketing efforts are working and gives you crucial insights into your audience. This will help you make decisions that are better informed and ultimately get more customers. There are many SEO tricks that you can perform on all the pages of your website to increase their rank on search engine result pages, thus driving up your web traffic. These can include anything from producing high quality and searchable content to writing precise meta descriptions for the pages. That said, the most popular – and effective – tactic is focusing on both short-tail and long-tail keywords for your SEO. Usually, people search for short-tail keywords more often. But it is much harder to rank for them on search engines. That’s why you should also ensure that your on-page SEO includes a lot of long-tail keywords tool. They give you a better chance of ranking higher for search queries relating to your service or products. If you have no idea how to use these SEO tricks effectively, then get on https://scottkeeverseo.com/clearwater-seo/ and let the experts help you. As a company in the Internet age, it’s important to be active in online communities that are relevant to your business. You can do this by commenting regularly on blogs, forums, and social media conversations that people are having about your industry. After all, social media is now one of the best ways to attract new customers and retain old ones. You can also use social media to promote content on your website. 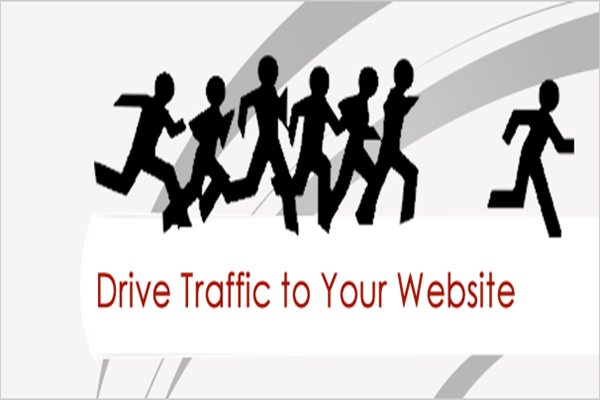 This way, you can get existing followers to visit your site more, increasing your web traffic. You can also gain access to their networks when your followers share your content. The more you engage with your online community, the more exposure and web visits you get. Just be sure to keep your engagements moderate and sincere to avoid hurting your online and business reputation. Inviting a relevant influencer to post content on your site or blog is a great way of increasing your web traffic. That’s because the influencer is likely to share the post with their own large audience. Not only that, but it can also add variety to your content and show your audience that you are active in your field. Acting as a guest blogger yourself can also have the same impact and set you up as an expert in your field. Just make sure to focus on popular sites that are relevant to your industry. Email is a great way to stay in touch with your customers and push traffic to your site too. You can start sending out regular newsletters or offers through email to direct old and new customers back to your site. The trick here is to continually provide useful or interesting content that will appeal to your audience. Also, avoid bombarding them with too many messages: this will only make customers delete or unsubscribe from your emails. Once you have gathered the email ids, you can use any best email marketing services to start with email marketing. It is important to keep track of all your e-marketing campaigns always. How else will you know which tactics actually worked and helped improve your web traffic? So, track your website analytics regularly to help you identify the content or strategies that work and what needs improvement. This will also help you avoid wasting time, money, and energy on campaigns that don’t get you the results you want.